'Sharon: Kasama Mo, Kapatid' is Megastar's First TV Project with TV5! 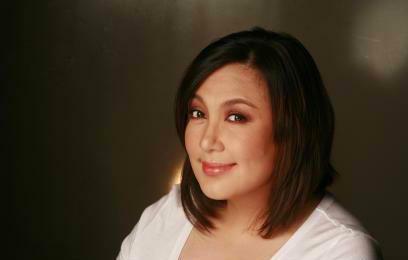 After her controversial network transfer late last year, the Megastar Ms. Sharon Cuneta will finally be seen on TV via her newest TV project now on the Kapatid network. Mega will host a daily talk show with a format she loves most! "Sharon: Kasama Mo, Kapatid" is Sharon's TV5 first TV project. This is not an ordinary talk show since it is an Oprah (Winfrey) inspired talk show! According to Mega, this is the kind of format she has been dreaming to do. Airing from Monday to Friday, the daily talk show promises the viewers a refreshing format with features of real stories from real lives—celebrating triumphs while learning from mistakes-turned-inspirations. With her genuine heart that often brings out the most inspiring stories out of common people, the Megastar is poised to inject feel-good stories to the show’s viewers. But aside from heartfelt narratives and engaging conversations, the show will infuse laughter and tears—both evoked by joy and strong emotion—from the highly entertaining mix of real-life stories and life celebrations.